Bladderwrack is a natural ingredient that has been making its way into a large number of different weight loss supplement formulas. That said, even though a substance is found in a large number of pills, it doesn’t necessarily mean that it works as is claimed. It is very important for consumers to look into the studies that have been conducted on a substance before marketing claims are believed. To start, bladderwrack is actually known under a range of different potential names. For that reason, it becomes slightly more challenging to research as it may have been identified any of those names by the researchers. Some of the most commonly used alternate names for this ingredient are: algue laminaire, chene marin, cutweed, ascophylle noueuse, black tang, atlantic kelp, ascophyllum nodosum, bladder focus, kelpware, kelp, goemon, focus and bladder wrack, among many others. Regardless of the name that is used to identify it, when it all comes down to it, bladderwrack is a type of seaweed. It is one that is widely used in natural medicine. The entire plant is used for this purpose, as opposed to a specific part. It is used for the treatment of several different types of condition, including obesity, thyroid disorders emphysema, bronchitis, digestive disorders, constipation, anxiety, urinary tract disorders, heartburn, joint pain, arthritis, “blood cleansing” arteriosclerosis. Unfortunately, there is not enough scientific evidence at this time to determine whether or not it is actually safe and effective to use for any of those purposes. 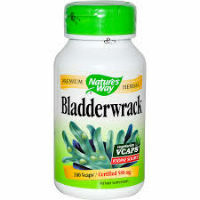 What is known is that it is not considered to be safe to take bladderwrack orally. Therefore, oral supplements that contain this substance may not be entirely safe. If bladderwrack is listed among the ingredients of a supplement, it is very important that a doctor and/or pharmacist be consulted before taking it. The reason is that taking the substance orally could place the user’s health at risk. That said, it is important that this substance not be confused with bladderwort, which has a similar name, is used for similar purposes but is a completely different ingredient. 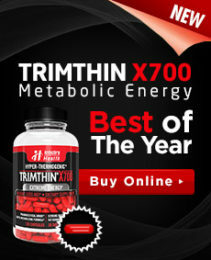 While there isn’t enough evidence to support the use of bladderwrack in the effort to lose weight, there is some limited research that has shown that when used in combination with vitamins and lecithin, bladderwrack was not seen as being helpful for assisting people in losing weight and keeping it off. More research is needed before anything else can be known for certain about this ingredient.